“I’m sorry, I just couldn’t ignore my neighbor! I didn’t know I’d run into her!” my good friend A. said as she ran into the cafe one hour after our scheduled meeting time. I’d traveled 200 miles to visit her in her hometown and had pulled out a book a long time ago to wait. “She might even call me in a moment, so I’ll have to answer,” A. added, pulling her phone out and putting it on the table between us. “Uh, what if you call her when we’re done hanging out?” I suggested, feeling frustrated that a phone call was more important than me. Is A.’s story familiar? Do you ever over-book yourself, or have trouble saying that you are busy, because you want to be friends with everyone? 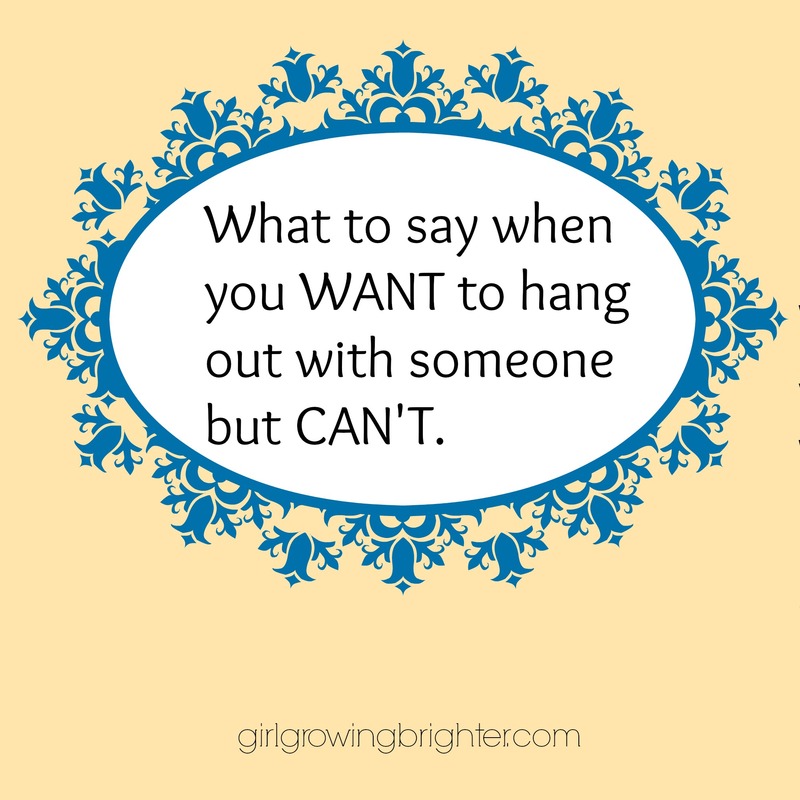 Are you worried about not being able to hang out with people that you really like, because you are worried they’ll stop liking you? Do you have trouble telling your friends, “Sorry, I can’t make it”? Here is your mini-guide to help navigate this situation. Step 1 – Express excitement for the invitation. Step 3 – Try to figure out an alternative time to hang out if nothing works. * DO follow-through. If you say you’ll call, then call them. * DO suggest an alternate hang-out time/date. Be specific so people know you are serious. * DO invite them to a different event if you turn their invitation down. * DON’T get defensive while you turn the invitation down. You’re making it into a bigger deal than it really is. Finally, the bottom line is — always suggest an alternative, whether it is in the moment, or in a later phone call. Your friend will get the message – you really do want to see them, but you happen to be unavailable at that time. It’s easier than ya think. You can do it!